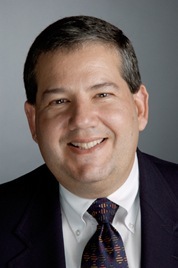 Dr. Kaplan is the former Vice President and Medical Director of Gaylord Hospital in Wallingford, CT, where he was also the Medical Director of the Industrial Rehabilitation Program. He is an Assistant Clinical Professor of Orthopedics and Rehabilitation at the Yale University School of Medicine, an Assistant Professor in the Department of Traumatology and Emergency Medicine at the University of Connecticut School of Medicine, and a Clinical Adjunct Professor at Quinnipiac University. 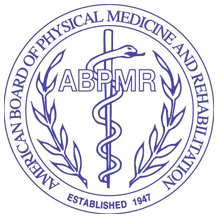 Dr. Kaplan is Certified by the American Board of Physical Medicine and Rehabilitation. He received his MD degree from the University of Pennsylvania School of Medicine, completed an Internship at Harvard Medical School, and completed a Physical Medicine and Rehabilitation Residency and Chief Resident year at the Columbia University College of Physicians and Surgeons. 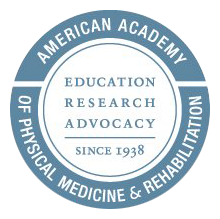 Dr. Kaplan is Certified by the American Board of Physical Medicine & Rehabilitation, member of the American Academy of Physical Medicine and Rehabilitation, and a member of the State of Connecticut Workers’ Compensation Commission Medical Advisory Panel, and several other organizations. He is licensed to practice medicine in Connecticut. Linda is a graduate of the Tufts University Boston School of Occupational Therapy and served as staff Occupational Therapist for both Outpatient and In-Patient OT Services at Gaylord Hospital in Wallingford, CT. Her responsibilities included supervisory capacity for the Acquired Brain Injury Unit, coordination and facilitation of outpatient services for individuals with complex medical needs, psychosocial problems, and workman’s compensation or disability injuries. Concurrent with service at Gaylord Hospital, Linda developed occupational therapy programs in three area skilled nursing facilities in a private practice as part of a multi-disciplinary approach to the rehabilitation process. 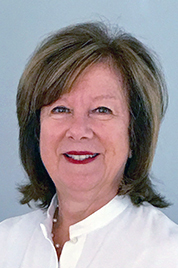 Linda had served as Case Manager of the Industrial Rehabilitation program at Gaylord Hospital and is currently the Executive Director of Kaplan Rehabilitation. Physiatry is practiced with patients suffering from disabilities caused by illness, injury or birth defect, which includes but is not limited to spinal cord injuries, traumatic brain injury, stroke, osteoporosis, arthritis, work and sports related injuries. Physiatry employs medication, as well as orthotics and other non-invasive options. These options include physical therapy, occupational therapy, therapeutic modalities of heat and ice, aqua therapy, nutritional counseling, pain management psychology, trigger point injections, and a host of other options. By providing an appropriate and fully comprehensive treatment plan, Kaplan Rehabilitation helps patients stay as active as possible at any age. Our broad medical expertise allows us to treat disabling conditions throughout a person’s lifetime.